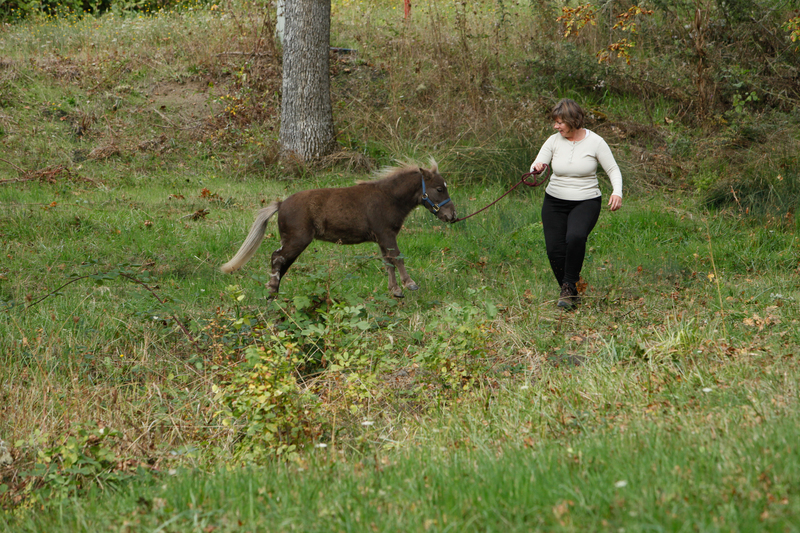 Get Groundedsm practices provide a method for developing the living and working relationship between you and your horse. 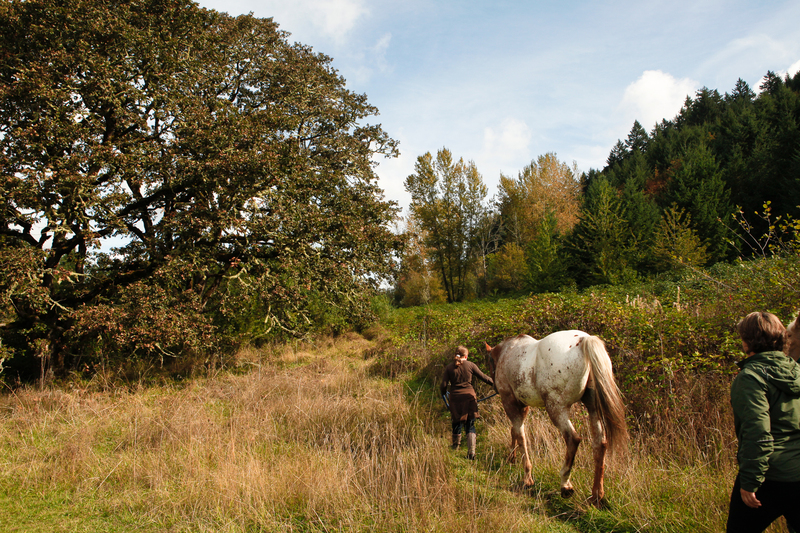 The process requires spending extensive time on the ground with your horse. 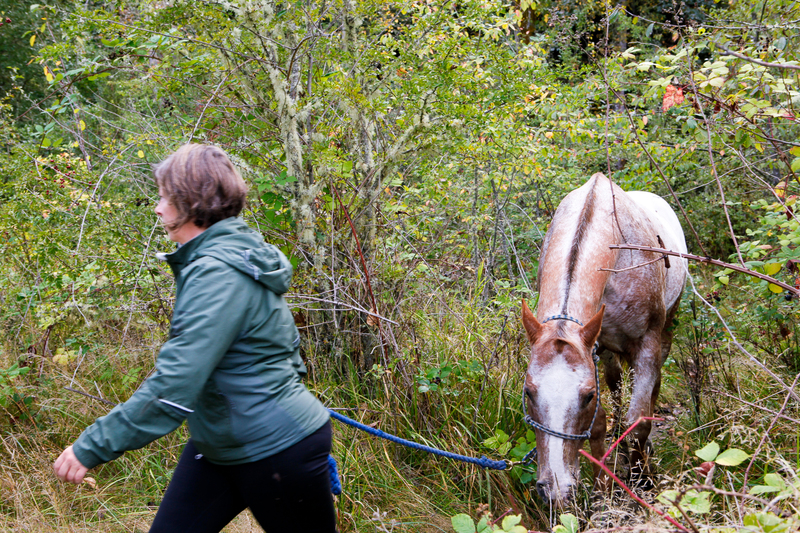 Negotiating obstacles and executing tasks becomes the vehicle for establishing leadership, building confidence, reinforcing communication, and developing a predictable protocol that builds trust with the horse. The steps taken and concepts learned in the Get Groundedsm way puts emphasis on respectful eye level working with your horse. 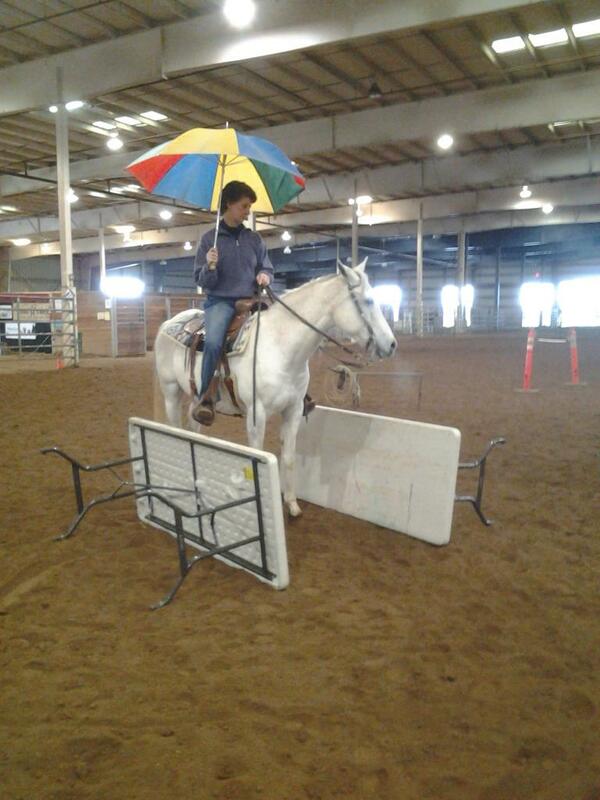 There are 3 main arenas of learning: walks/hiking, round pen, and obstacles. 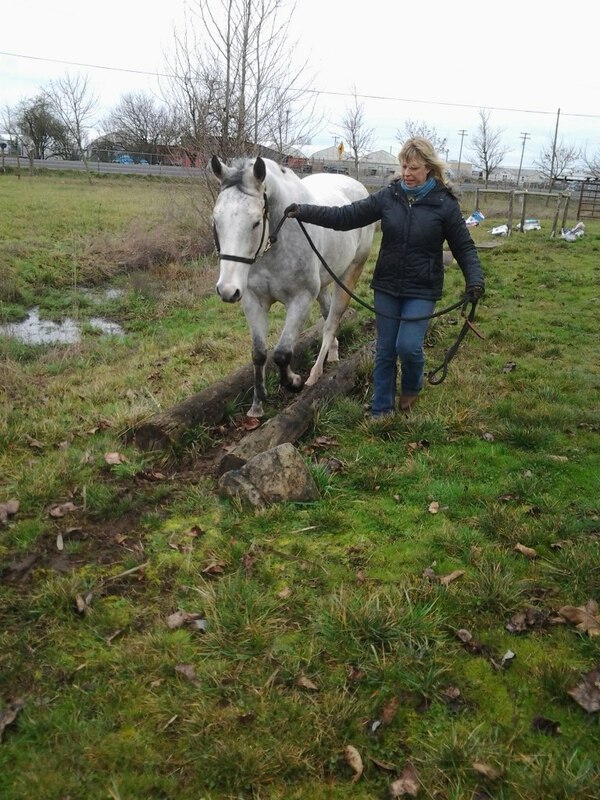 Get Grounded is a type of horsemanship where your horse understands you as a benevolent trustworthy leader who makes good decisions and keeps him/her safe. By taking the time to be on the ground with your horse, you gain a better understanding of your horse's body, mind and emotions. Precise timing of asking, correcting and praise are the key components learned to effectively communicate with your horse. The Get Grounded approach will greatly improve your horsemanship and give your horse the foundation it needs to move on to a variety of other disciplines. 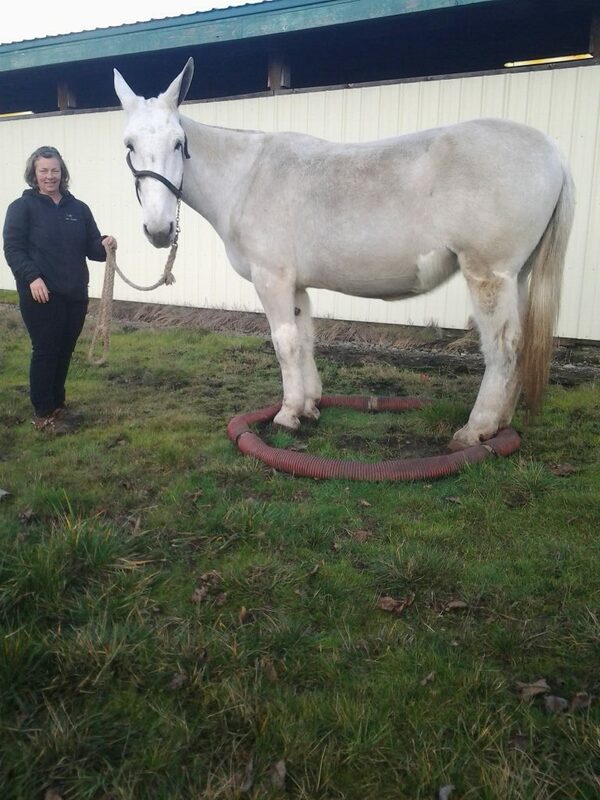 Get Groundedsm lessons are custom tailored to the needs of you and your horse. I will organize tasks and obstacles that are appropriate for the both of you together. Some of the more common attributes that develop through this process are: coordination, confidence, focus/attention, cues/communication, and leadership. 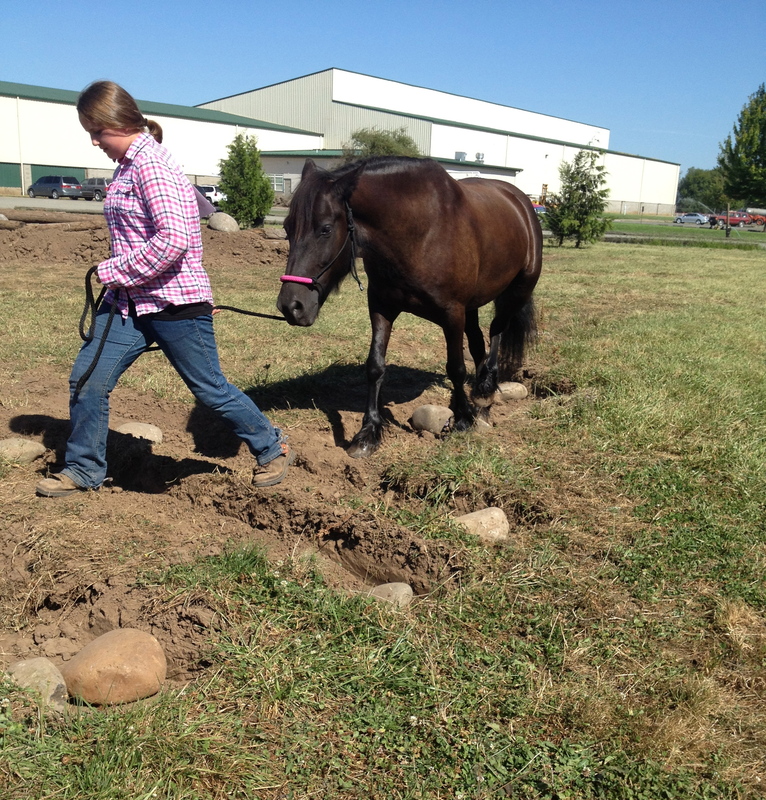 Obstacles can put a lot of meaning and purpose to what we teach on body mechanics. Horses can learn advanced side-pass, backing, haunch and shoulder yielding. Other skills that can be developed are ground tie, side-pass to anything for mounting, pulling/dragging, pushing objects, and packing objects. Off lead work is also possible for those interested. Get Grounded concepts come from an understanding that the horse is an intelligent prey animal with a brain that is geared for a herd dynamic social structure. There must be an understanding of the role of a true leader. This type of leadership must be aware of body language, have the ability to think and plan ahead for the horse, and be consistent with cues, praise and correction. The obstacle is first used to draw curiosity and provide a venue for developing the need to pay attention. From this begins a progression of learning that encompasses body-mechanics, confidence, maneuvering, and a variety of other skills that are intended to engage the 'thinking brain' rather than the 'flight' brain. With Get Grounded, there is a belief that communication is a key component of good horsemanship. Touch, voice, and body positioning are all used to communicate. Being at eye level with a horse is also a good way to get a 'read' on what and how your horse is communicating to you. Complex tasks and challenges are possible when you and your horse are in sync with your communication and understanding. Over the years, my children and I have participated in mt. trail, extreme trail, and competitive trail clinics and challenges. The mt. 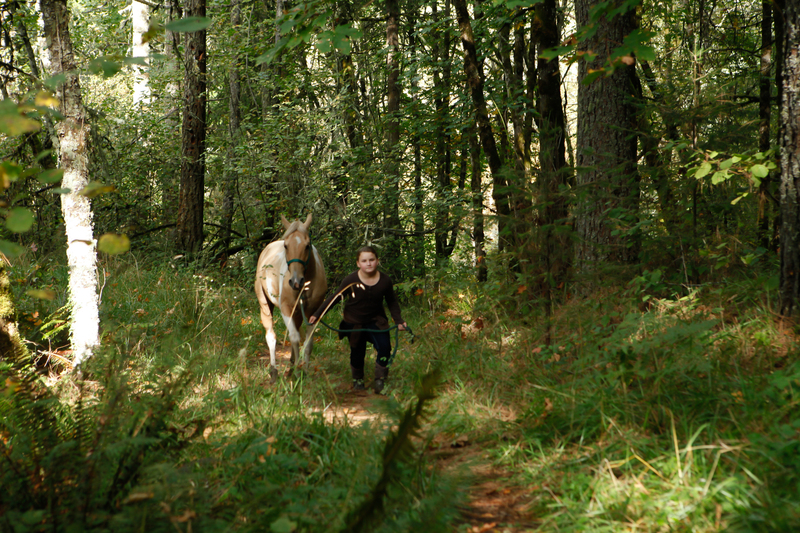 trail challenges at the Oregon Horse Center in Eugene have always been a place of great inspiration for us, each event full of excellent examples of well trained horses and impressive horsemanship. The in-hand classes were always popular with us. 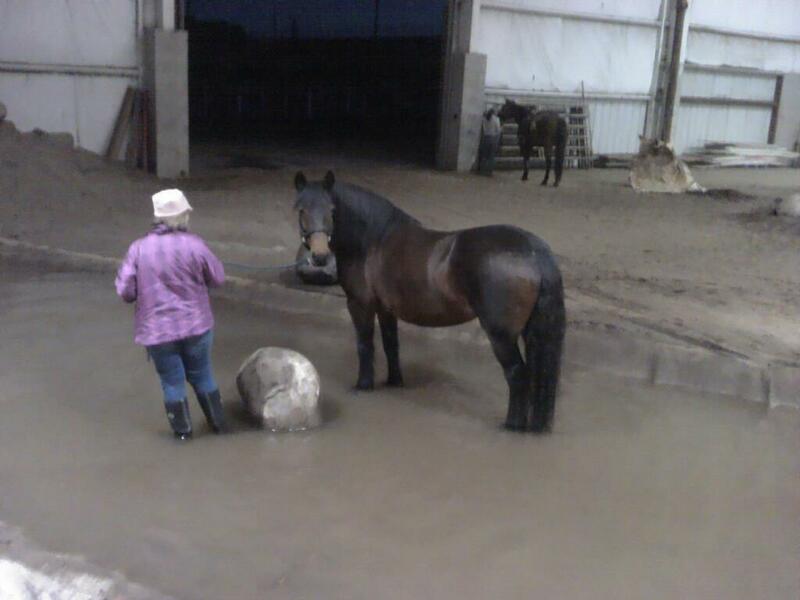 We, by nature, were drawn to the opportunity to do the challenges and obstacles on the ground with our horses. Naquel with 2x In-hand mt. trail champion and Timed & judged jackpot winner: Meyer's Mollys Magic, 2010 photo by Chris Sloan. 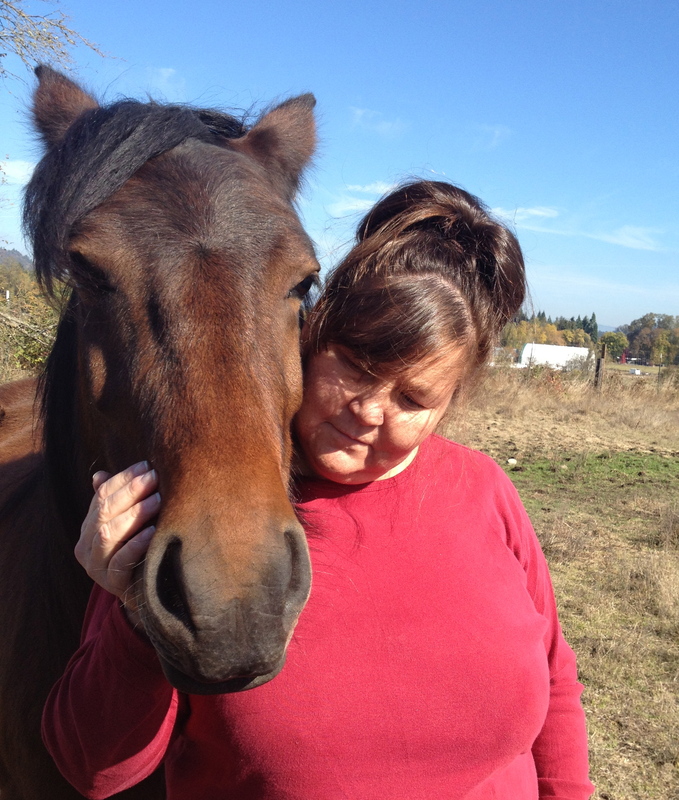 Since 2007 we have brought 15 different horses into mt. trail clinics and competitions. The work we put into and the time we have spent with these horses has been a main contributing factor in developing Get Grounded. 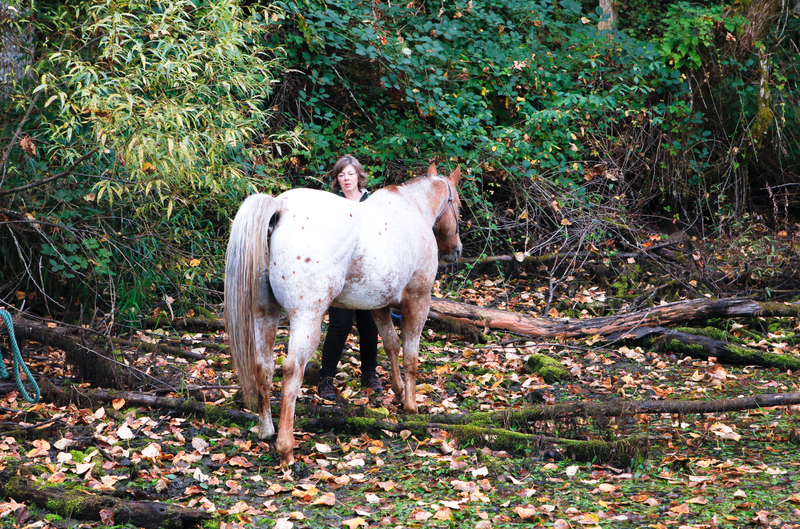 The core of the journey came from 2 of these horses, an unsound appaloosa gelding and an extremely insecure paint mare who had some deep set fears. Due to mild soundness issues and the dilemma of trying to keep an appaloosa gelding in shape, I had a light-bulb to start hiking with him. He and I were hiking several times a week and usually several hours a day. My daughter began joining in with a miniature gelding that we had. The hikes evolved into training sessions where we would find obstacles and challenges along our way where we could practice. 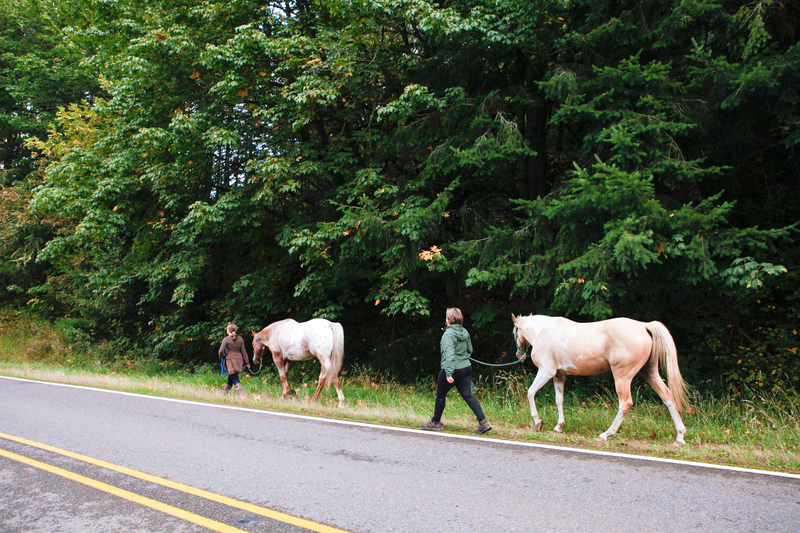 Hiking then became a part of how we engaged and trained all of our horses. 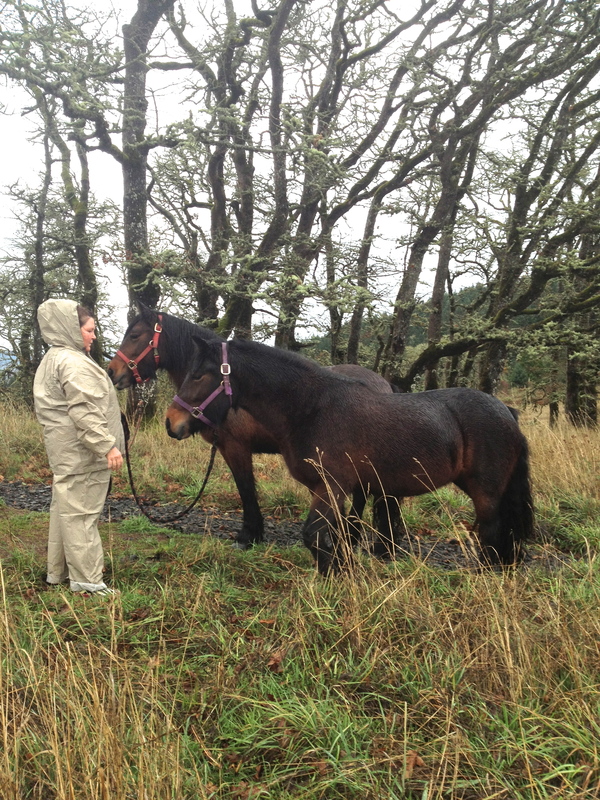 So the fearful paint mare had a heavy dose of time with us on the ground and hiking as well. This kind of practice was beneficial for her and for helping us understand her concerns and the roots of her fears. 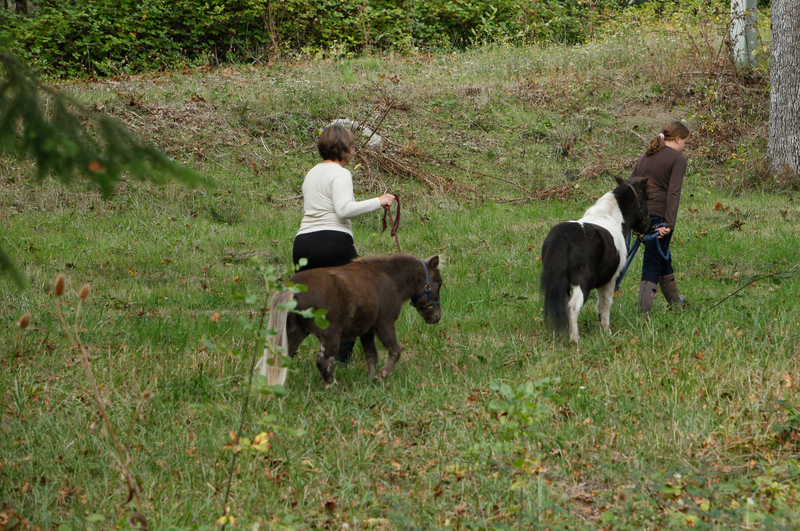 In January, 2012 my daughter and I began working with Fell ponies having consistent work sent to us by Cheryl Dutton of Braeberry Farm Fells. During 2012-13 I devoted a lot of concentrated time working with a variety of horses doing ground-work (obstacles and round-pen), starting, saddle training, and long line driving. I also did a lot of exploration on body language and off-lead work with obstacles. During this time, there were additional hours spent on observing and processing....paying attention to the consistent things and formulating what I was doing with the horses. After the mt. trail championships at the Oregon Horse Center in November, the course was left up for a month for people to come and work their horses. I spent hours observing all kinds of horse/human relationships come into that course, actually made a daily point to sit and watch. I began to find some very common threads in the successes as well as the failures. 2013 was a year where I began formulating and sharing my ideas on Get Groundedsm. I began working in small groups with others, designing obstacles with specific goals in mind to help others and myself see the possibilities for learning. 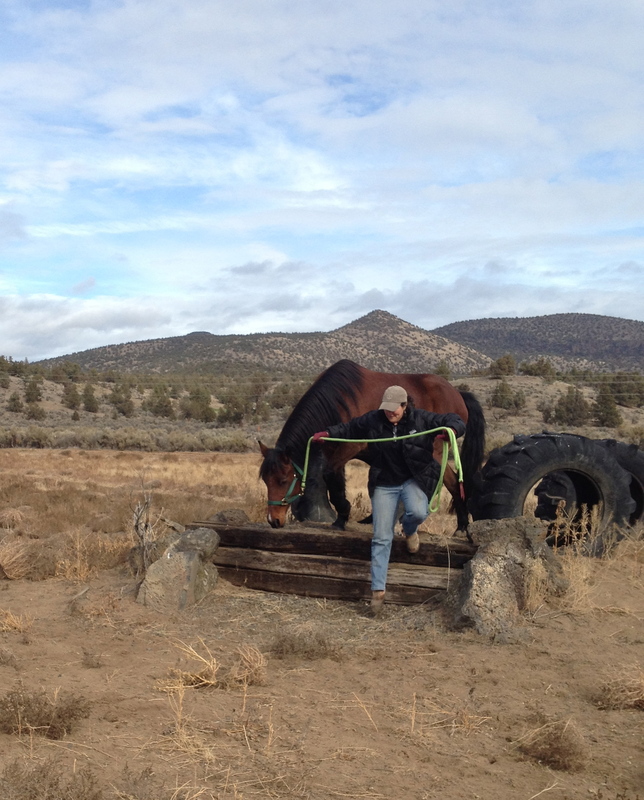 Get Groundedsm is a real and meaningful way to build both the friendship and working relationship most people want with their horses. 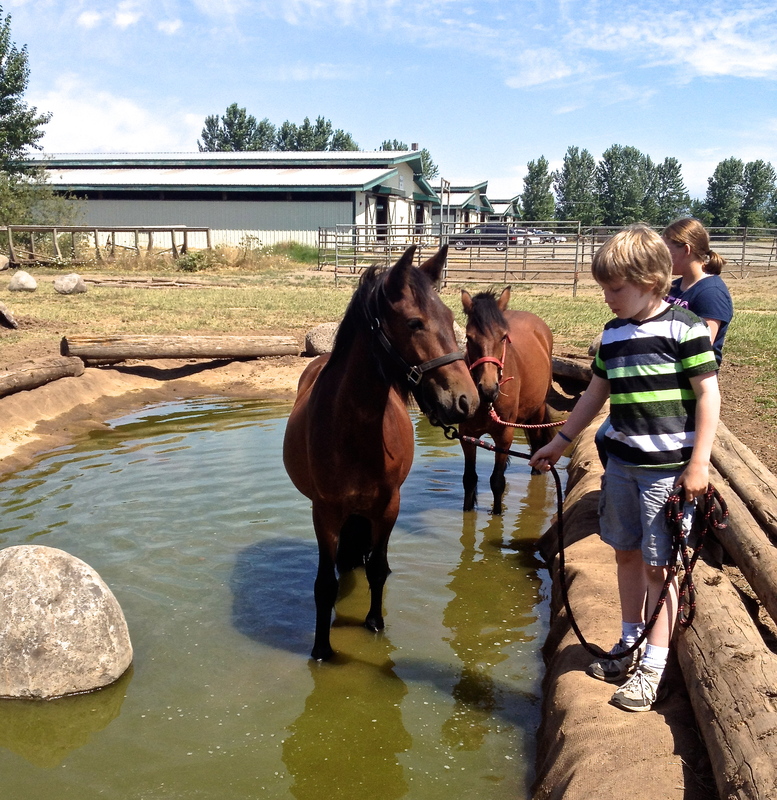 It is for people who want to put in their own time and learn together with their horses. The experiences are endless and are often combined with a great sense of accomplishment.